Kaitlyn Dunnett/Kathy Lynn Emerson here. The title of this post could as easily apply to books that I’m writing as to those in my to-be-read pile, but today, while in the throes of revisions on two different projects, I’d much rather talk about other people’s novels. How do I find time to read, you ask? I’m honestly not sure, but I do know that when my own writing is going well, I also read a lot. That could, of course, have something to do with the lack of appealing shows on television. Right now the only two I’m watching regularly are Father Brown on PBS at 7 on Sundays and Charlaine Harris’s Midnight Texas at 10 PM on Mondays on NBC. Every Tuesday, publishers release a swarm of new titles. Even if I restrict myself to books in series I already love and books written by friends, I almost always end up downloading more than one to my iPad. Sometimes I even splurge and buy a hardcover. That happened most recently with The Painted Queen, the final Amelia Peabody mystery, set in Egypt in 1912. 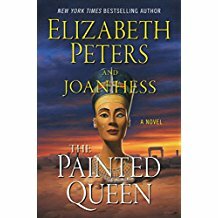 It was unfinished when the author, Elizabeth Peters (a pseudonym for Egyptologist Barbara Mertz) died in 2013 and was finished by her good friend and fellow writer, Joan Hess. There was a lot of speculation surrounding who had been chosen to complete it. Although I only knew Barbara slightly (from Malice Domestic), I have been friends with several of her friends, especially our own Dorothy Cannell, for a long time. I guessed, long before Joan’s role was made public, that she would be the one finishing The Painted Queen and I was betting she’d do a great job with it. I’m happy to report that I was right. Whether you’ve read other books in the series or not, this should definitely be on your TBR pile. 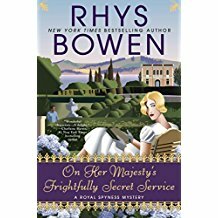 The very next week saw the publication of Rhys Bowen’s newest Lady Georgie adventure, On Her Majesty’s Frightfully Secret Service. What can I say? When it comes to historical mysteries, I like amateur sleuths who are a little wacky. That’s not to stay that I don’t enjoy more serious takes on history. I’m very much looking forward to James R. Benn’s next Billy Boyle World War II mystery, The Devouring, which will be out next month, as will Whispers of Warning by fellow Maine Crime Writer Jessie Crockett, writing as Jessica Estevao. I loved the first book in this series, Whispers Beyond the Veil. August 8 was also a good day for contemporary mysteries. 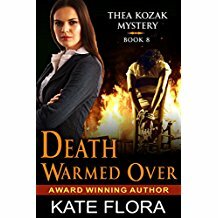 Kate Flora’s eighth Thea Kozak mystery, Death Warmed Over, hit the ebook shelves. 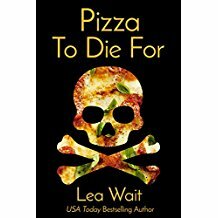 So did Lea Wait’s new YA, Pizza to Die For. I was lucky enough to read a draft before it was published and it’s a great read for all ages. I’m reading Kate’s book right now and am thoroughly engrossed in the story. Today is August 15. Yup—Tuesday again. Curiously, no books on my “want list” are scheduled for this date, but that doesn’t mean I won’t download anything. As I read other blogs and Dorothy L and Facebook I’m sure to come across a new release or two, or perhaps a book I missed when it was first published. What else is on this “want list” of mine? 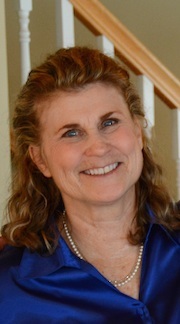 On August 29, Mary Jo Putney’s Once a Rebel comes out. It’s historical romance by an author who really knows her stuff. I don’t read in a great many genres, but I do like to vary my steady diet of mystery with the occasional well-written romance and, occasionally, with a dash of the paranormal. On the pile of recent purchases yet to be read are Beauty Like the Night by Joanna Bourne (historical romance with spies), You’ll Never Know, Dear by Hallie Ephron (a stand-alone thriller), and Bless Her Dead Little Heart by Miranda James, the first in a series spun off from the Cat in the Stacks Mysteries. Coming up in September are J. D. Robb’s futuristic police procedural, Secrets in Death and Charlaine Harris’s contemporary cozy, Sleep Like a Baby. 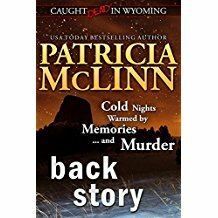 My October list includes Donna Andrews’ How the Finch Stole Christmas, Lea Wait’s Thread the Halls, and Patricia McLinn’s Back Story. If, by some fluke, I run out of new titles, or am in the mood for something else, I have at least fifty and probably closer to a hundred as-yet-unread books downloaded in iBook and Kindle formats. I can’t help myself: offer the first in a series I haven’t read for free on Amazon and I tend to give in to temptation. While my TBR “pile” may no longer be tottering on chairs and tables, it sure isn’t getting any smaller! 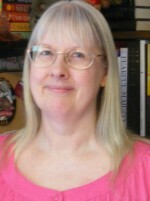 This entry was posted in Kaitlyn's Posts and tagged Charlaine Harris, Elizabeth Peters, James R. Benn, Joan Hess, Kaitlyn Dunnett, Kate Flora, Kathy Lynn Emerson, Lea Wait, new books, Patricia McLinn, Rhys Bowen, TBR piles. Bookmark the permalink. AMEN. My TBR pile fills at least three book cases as well as part of a closet. I swear I learn about at least three new titles that sound like must-reads every day. In a perfect world, I could put a book under my pillow every night and absorb it in my sleep. They reproduce during the night. I have downloaded free Amazon book – too many – but they are on Kindle for PC and I spend too much time here as it is so I usually don’t read them. I keep them here because – someday! My library list is also LARGE. We who have read since the age of four have a tendency to do this. I can’t remember when I didn’t read and there are photos of me reading from a very early age to prove it. And really, I don’t think it’s possible to have too many books. It’s choosing which one to read next that’s so often the hard part. Gram, I’m guilty of the same thing on Kindle for PC. I have to agree with you about The Painted Queen. There are subtle differences but I can’t imagine how difficult it would be to capture another writer’s voice. 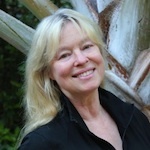 Kudos to Joan Hess! Absolutely! There is never an end to a TBR pile! My latest read? Kate Flora’s Death Warmed Over. What a ride! Definitely recommended. Love this post, Kathy/Kaitlyn!